This entry was posted in Uncategorized on April 1, 2014 by Grannymar. Are these photos reversed? The golden ones are open. The dull brown ones are closed. No,the photos are in the correct order. I found them in my garage when Elly & George were here a week ago. The must be a few years old because the plastic bag disintegrated as soon as I touched it. The cones were fully open, but I put them in a new bag with a sprinkle of water and tied the bag. Two days later…. the result was the second photo. 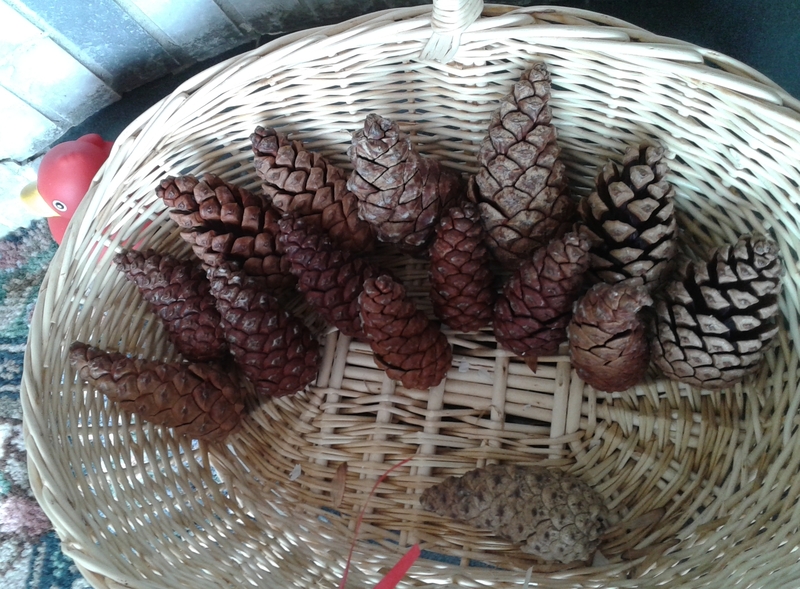 The one pale cone at the front of the basket was the only one left from the sackful I gathered last July. It never opened at all. That’s interesting . . . I didn’t know that watering pine cones would do anything other than get them wet. I tried it with a cone I found years ago and did not want to lose. After time it dried out and opened again and I successfully repeated the experiment. Reminds me too much of the endless snow we’re having here. But you do fill a pretty basket very nicely indeed. We had a spring day yesterday minus the sky! Same again this morning. I think it may be full of Sahara dust again. One time my Grandson, Francis, thought it might be a good idea to make me some fire starters for the Winter. 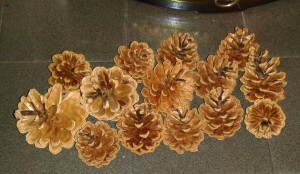 He gathered pine cones and dipped them in wax and presented them to me. I was delighted with them until……. 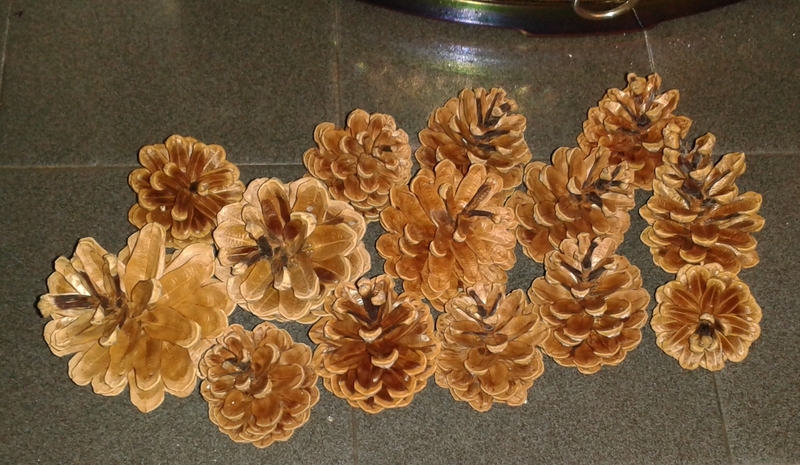 I tried to start a fire in my fireplace using dear Francis’ pine cones. The wax melted immediately and came pouring out of my fireplace like the lava runs from Mount Etna. I came close to having to call the fire department..But luckily we were able to stop the flow of lave just in time! P.S. We never told Francis.. We were the only folks he knew who had a fireplace so we were fairly sure he would not be making any more fire starters. Nancy L, it could only happen to you! Thankfully there was no need for the guys on my next post!